Their full length effort, In Transit, made this site’s #1 album of 2011. 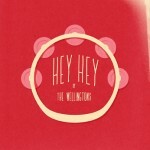 Some months later, the Wellingtons have a follow up EP entitled “Hey Hey”, and it’s also one of the best of the year. Just as with the full length, great melodies rule here. The disc starts out with “Devil in a Cardigan”, a song about the nightmare girlfriend so many of us can identify with. The beginning of “The Coolest Drug” almost reminds me of a Cars song or maybe the Fountains of Wayne favorite, Stacey’s Mom. The harmonies are engaging throughout (as well through the entire EP) and the chorus is one big, infectious hook. The title song, “Hey Hey”, is bubblegummy in the best sense of the word. 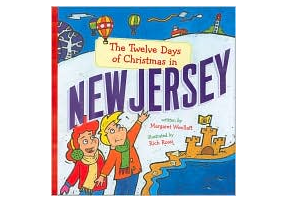 It’s bouncy, uptempo, and has the big, requisite hook that gets you humming along. The tune was running through my head during an important business meeting the other day, temporarily rescuing me from the monotony of an otherwise tedious session. “Under the Power of a Girl” is probably my least favorite song but is still quite enjoyable, having perhaps the catchiest chorus of any of all. The disc finishes with my favorite of the bunch. Suitably recorded without a drum track, “Another Drummer Down” is a humorous song about the band’s problem with keeping a drummer for any lengthy period of time. A band with a sense of humor becomes instantly easier to relate to. If you want to learn more about the band, I would suggest visiting them on Facebook or at their website, where you can purchase their latest LP, In Transit as well as the EP discussed above. Both are highly recommended. Or if you prefer, you can download “Hey Hey” at the Wellington’s bandcamp page.